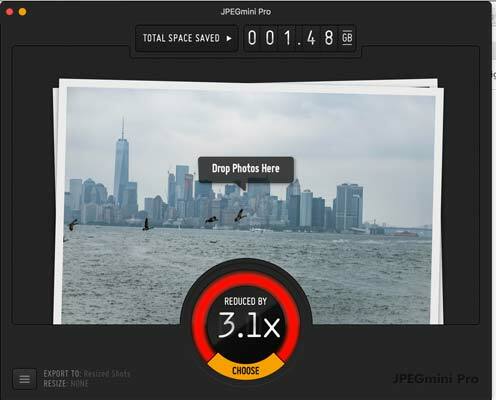 JPEG Mini is an application available to download for use on Windows and Mac computers. Its sole use is to reduce the size of large JPEG images, but keep the resolution and file quality of the image. The app is available as a standalone app, or it can also be used as a plugin for Adobe apps such as Lightroom and Photoshop. It costs £85/$99 for the Pro version, or £17/$20 for the standard version. You can download the application directly from the JPEG Mini website. You have the option to choose a standalone app, or download it as an extension for either Photoshop or Lightroom. You can download and use all three, if you wish. If you’re installing it as a standalone app, you simply need to follow normal installation procedure, depending on your operating system. If you are installing it as an extension for an Adobe app, you’ll be provided with instructions, and you can then access it by clicking Window > Extensions > JPEG Mini. You have the choice to download a free trial before committing to buy, to see if you like how the software works. 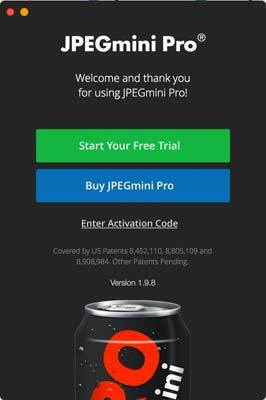 When you first open JPEG Mini Pro, you will be asked if you want to start your free trial, buy the software, or enter your activation code if you have already paid for it. 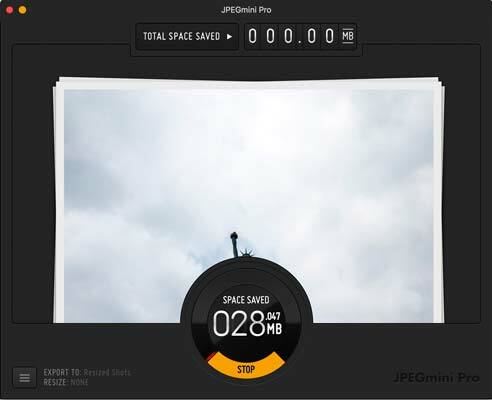 The JPEG Mini Pro app has a very simple interface, with very few things that you can change. Before you decide which photos you want to use, you need to decide how the app is going to work with your photos. Click the button on the left hand side of the screen and you’ll be given a couple of options you can use. If you choose Optimise Originals, then the newly resized images will replace the images you already have saved on your hard drive. The only difference will be the size of the image. By default the box is ticked to warn you that your photos will be overwritten, but you can switch this off if you want to - it’s a useful way to avoid accidentally overwriting files if you just want to create smaller versions but keep the originals. The next option you have is Export to Folder. If you select this you can choose a folder somewhere else on your computer or hard drive to store the resized images. You can leave it at that, or you can also choose to change the resolution of your images. There are three preset sizes (small, medium and large), but you can also select maximum width or maximum height and input your own pixel count. The software will keep the aspect ratio of your image. Once you’re happy with these settings, you press Apply and you’ll be taken back to the original window. Now, you can either drag and drop the photos you want to resize in the interface window, or you can click “Choose” to select a folder on your hard drive (or you can select individual photos if you prefer). Once you’ve done that you’ll see that there’s an attractive interface which shows the photos that you’re working on. A progress bar at the bottom indicates how far along the process you are, and you also have the option to stop the process if you wish. When the process is finished, it will show you how much memory you have saved, and by what percentage. If you try to drag photos which you have already resized into the window, the software will skip the photos and tell you that those have already been optimised. This is a good way to avoid wasting time optimising photos you’ve already resized once. From then, you can use the photo in whatever way you wish to use it - whether that’s printing the photo, attaching it to an email, or simply leaving it on your hard drive. 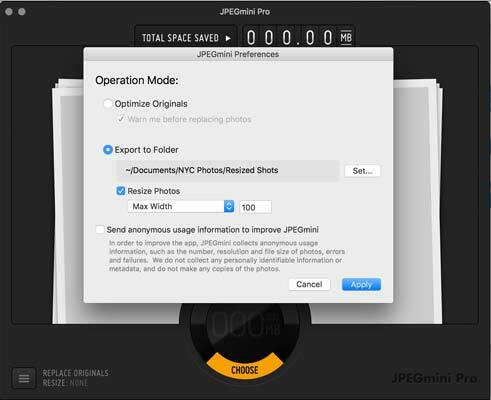 Alternatively, if you choose to use JPEG Mini Pro as an extension, it’s a very simple process. Open the extension when you have a photo which you want to save. 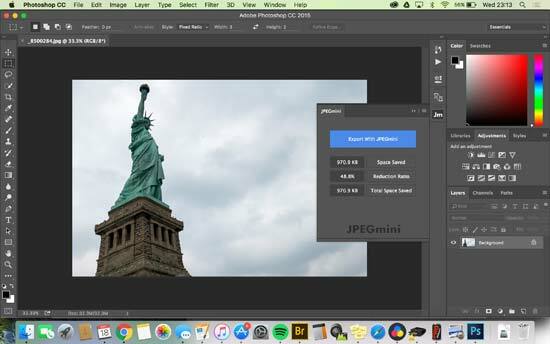 Simply click “Export with JPEG Mini” and you’ll be prompted to choose a destination for your file. 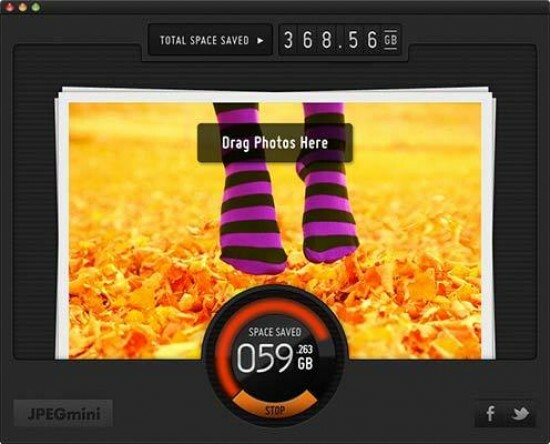 Once the photo has been saved you’ll see on screen how much space you have saved, and again by what percentage.